The Mego Pocket Heroes lines is one of those things in action figure history that you have to wonder about. It mixed DC and Marvel characters in the same 3.75″ scale. Why didn’t this line continue longer? 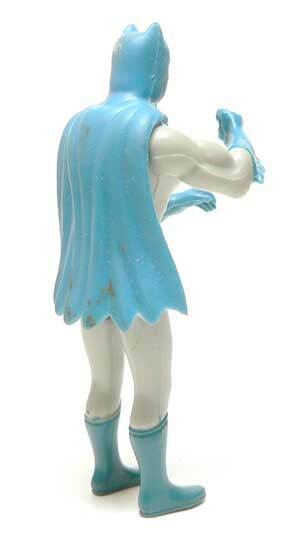 So based on the lighter blue colors and shorter cape, this guy always reminded me of the Super Friends Batman. Which makes sense since a lot of younger kids got their first taste of Batman that way during that time period. Now obviously, mine has seen better days. The flesh painted on the face didn’t last very long. I’m actually surprised any of it is left. Errex has been after me to touch him up, and I probably will now that I’ve documented him “as found’. I remember having a lot of fun with him back in the day. He frequently saved Adventure People. And well, yeah that right hand is unfortunately posed, but it let him slide up and down a string pretty well. The sculpt is okay considering the time period. He’s fairly heavily muscled above the waist with some rather un-toned legs to support him. 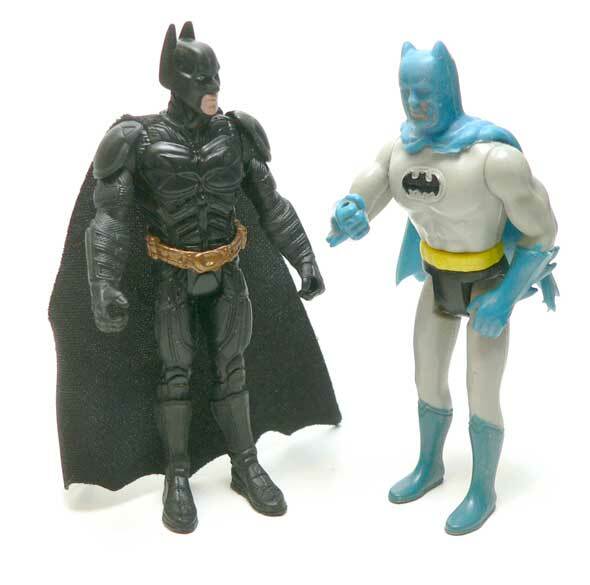 Like other figures of the time, Bats has hips, shoulder and head articulation. His cape even has some flow to it. Knowing these guys were sculpting for kids and not collectors, I think all of these things are fine. Well sort of head articulation, It’s created by the fact the head and cape are a single rubber piece that pops on to an almost modern looking neck with a ball on it. Now sometimes he came with a Batrope and sometimes not. I don’t remember having one, but could be wrong. For the time this guy was out there and the Star Wars figure craze, I’m really surprised there weren’t more versions of these. 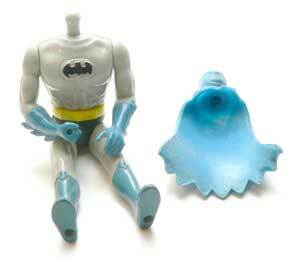 What is scary, is the minimal paint and articulation is something that seems to be making a comeback. 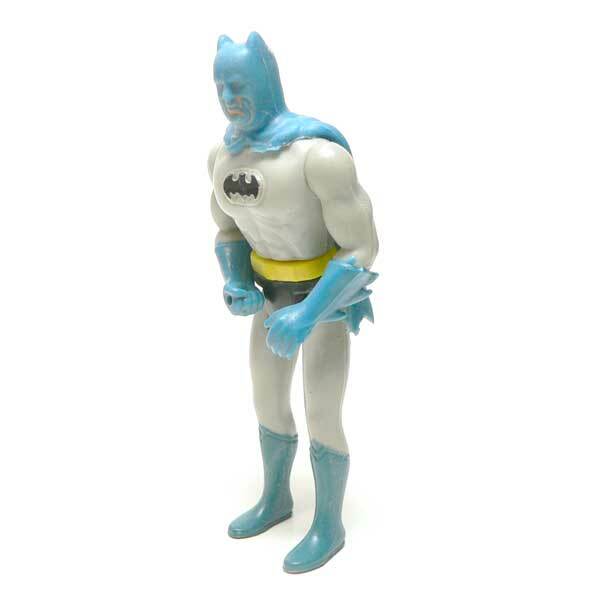 The new Spiderman figures I saw the other day were definitely the modern cousins of this Batman. However, if it gets kids back into action figures because of a lower price point, I’m for it. For more information on Pocket Heroes make sure to check out the Mego Museum.